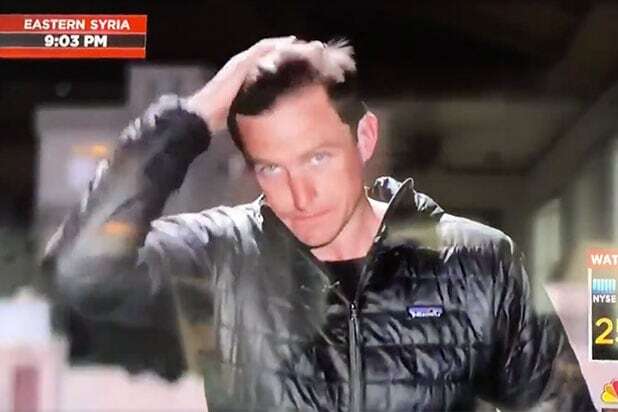 When you’re a reporter with messy hair broadcasting live in the field and don’t have gel and a comb handy, for some, spit and your palm will have to do. On Friday, MSNBC anchor Ali Velshi was introducing NBC reporter Matt Bradley, who was reporting from the field in Syria about the defeat of ISIS caliphate. The camera shifted to Bradley, who was busy spitting into the palm of his hand and then sliding it through his hair… twice. Several seconds passed, as Bradley seemed unaware he was live. “We do not have Matt, we will come back to him as we get him,” Velshi said when he was getting no response from Bradley.